I get up at 8.00am, Tam has been up and about, doing things for a couple of hours. Breakfast is in Tritons and we both have Eggs Benedict. We are trying not to eat too much during the day so we will look forward to our evening meal more. This plan immediately comes unstuck when a plate of pastries is presented to Tam. A chocolate croissant cannot be resisted. 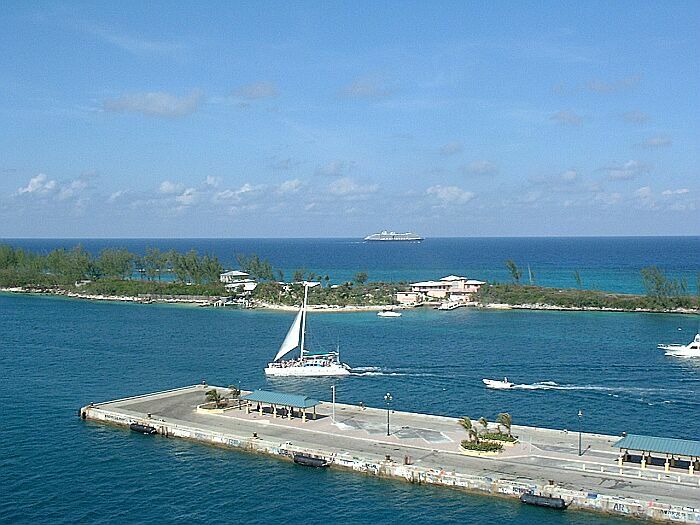 We have just docked at Nassau and disembark around 10.00am for a look around. Bay Street is the main shopping area and this leads to the straw market. 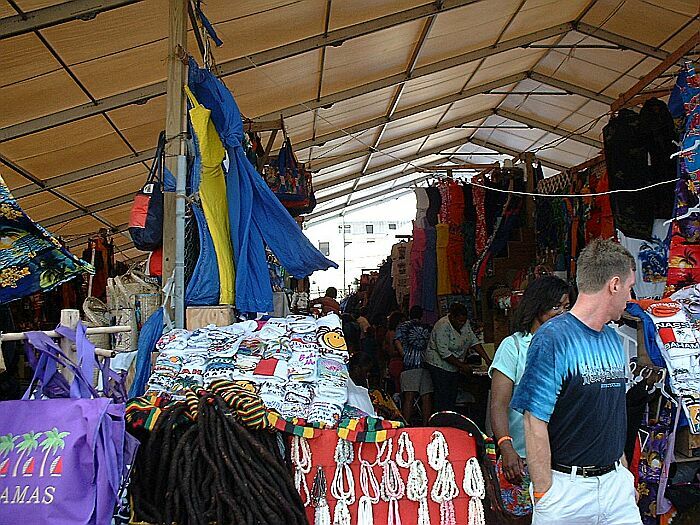 This is a covered area with loads of stalls all selling much the same things. If you are looking for cheap T shirts and touristy stuff, then this is the place, nothing very sophisticated though. I had read that many people dont like the hassle from the vendors here, but I didnt think it was too bad, at least they are good natured. I was in Shanghai market recently and those people really know how to harass! Tam wants to get a sarong. She asks the lady How much? at one stall and is told $15. Tam says Will you accept $10? The way the lady leaps up and down before doing a lap of honour around the market suggests Tam has gone in a little over the odds.
. A woman in a silky flowing trouser suit walks nonchalantly along a deserted tropical beach. A gentle breeze plays through her flowing hair catching the glinting early evening sunshine. The waves lap gently around her feet as a deep, quietly spoken mans voice says Exciting. Sensuous. Sophisticated. Shes wearing Pony Pee. For the woman that doesnt have to try too hard perhaps? 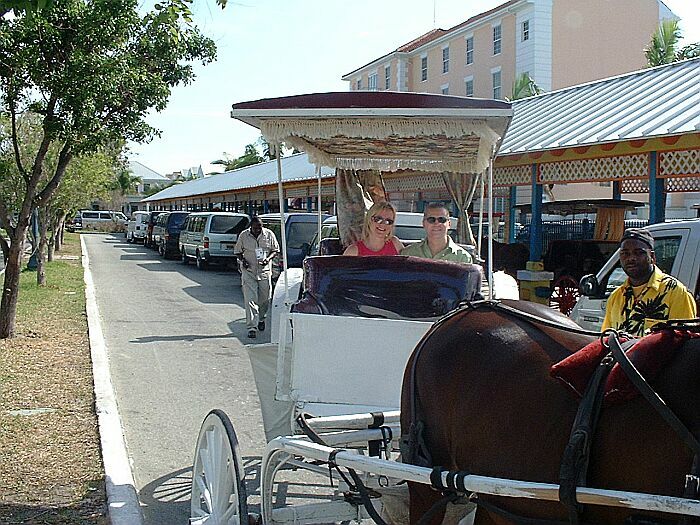 On the way back to the ship we pass the horse drawn carriages and decide to take a ride. Its $10 each and only lasts 15 minutes or so, but its a very pleasant way of seeing a little bit of Nassau. As we clip clop along looking at the horses bottom, an image of Janet Street-Porter springs to mind for some reason. Have they gone yet? Is it safe to come out? By midday we are ready to re-board the ship. I suppose it is a question of what you are expecting as I had read so many bad things about Nassau, it was not quite the hell on earth I had been led to believe. That being said, I can also understand those people who prefer to stay on the ship. Up to deck 10 where we grab a sun bed and enjoy the sunshine. Its in the 80s today, but with a breeze keeping things pleasant on deck. Lunch for Tam and I is at Tritons. I have the roasted chicken, which is ok. But Tam is in raptures over the mushroom risotto. Back to deck 10 where we are joined by Mark, Mandy, Deb and Matt. 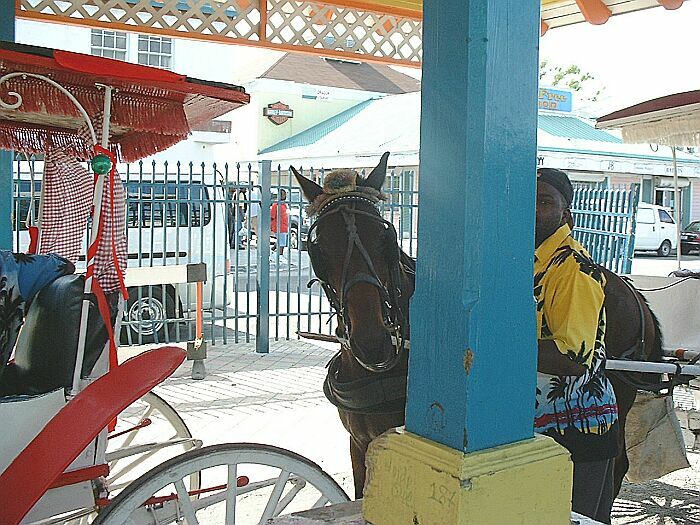 Nobody has been very impressed by Nassau although Mark says he still managed to spend $200. One of the nicer views from the top deck. After a couple of hours enjoying the sunshine and the pool it is time to take advantage of the 2 for 1 offer on margaritas. 6 of them are lined up and duly despatched. Matt and Deb, who are expert in these things, profess the margaritas to be very poor. Matts definition of poor in the margarita stakes is one that contains less than 50% tequila. We switch drinks to a Planters Punch. This is the cocktail of the day and certainly has a bit more of a kick to it. By the way, Ive found the cocktails to be really good value on the cruise. The cocktail of the day is $3.50, which is not much more than a beer. 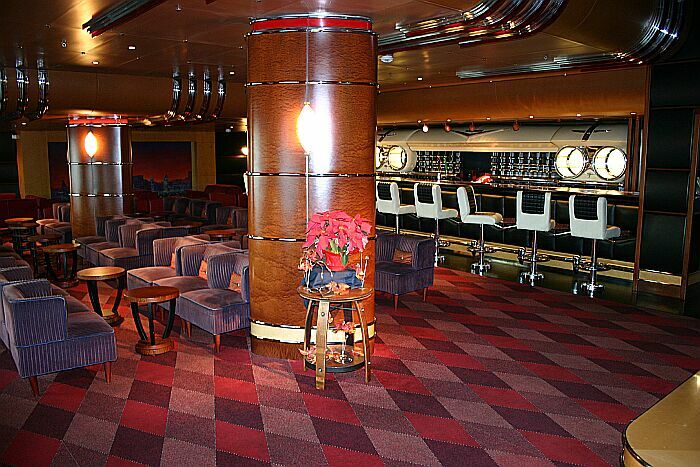 It is now 4.30pm and the rest of the group decide to return to their staterooms for a rest. Slackers! Tam and I go down to Diversions for the beer tasting session. I dont actually take part as they are sampling 4 run of the mill UK beers, but I grab a Miller Lite and listen to the talk on beer, which is very interesting. Did you know you could live by drinking Guinness alone? The only problem is you would need to drink 47 pints of it per day. Surely there must be several thousand Irishmen who do that already? 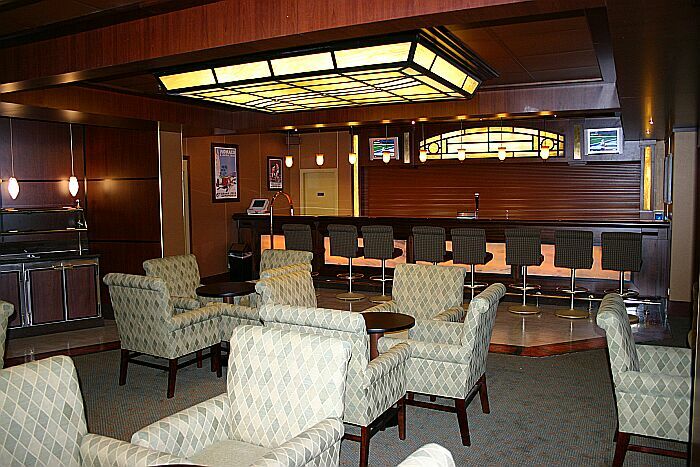 Were still not ready to return to the stateroom, so Tam and I move down to the Promenade Lounge for the Disney trivia quiz. I have another beer and Tam goes for a coffee with Tia Maria and rum. The quiz is good fun and a mixture of very easy and very tough questions. An example of the harder questions is  Name the 2 actors who voiced Simba in The Lion King. I cant even remember the answer now! Tam scores 11 out of 20 and I get 14. The winning team score 15. In my defence they were a family of 6, theres only one of me. Back in the stateroom we have quick showers before joining Matt and Deb in the Cadillac Lounge where Matt is in deep conversation with an elderly American couple concerning the Pro-life debate. Only Matt could be discussing such weighty issues 5 minutes after meeting someone. Mark and Mandy join us and we go to Parrot Cay for dinner. I begin with the trio of salmon, followed by mixed grill and then banana bread pudding, all of which are very good. Up on deck we attend the sail away party and it is quite a sight as the huge vessel slides quietly away from Nassau at 11.00pm. Mandy is not feeling too well, so she returns to her stateroom as the rest of us go to Diversions where there is a football game on, Cowboys v Seahawks. Cocktails and beer are ordered and it is at this point that Matt suddenly develops a bout of Tourettes Syndrome. For no reason known to man he suddenly shouts out the most inappropriate words. Im not sure how to explain it adequately other than that it makes liberal use of the word arse. Im cracking up laughing and we are accused by the ladies of being childish. Now hold on a minute, I seem to remember an evening not so long ago when merely using moist in a sentence had the women reduced to tears of laughter. I rest my case. We finally make it to bed around midnight.